Rose Gracie is not only the daughter of 9th degree red belt Rorion Gracie (founder of the UFC) and the granddaughter of the great Master Helio Gracie, she is one of the louder voices against the current sporting format of the gentle art. 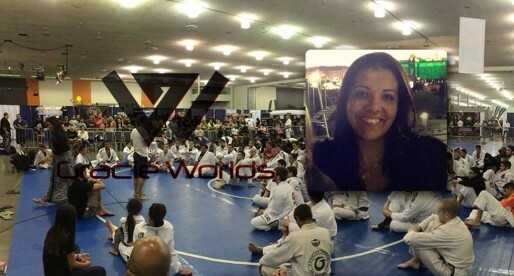 Through her jiu jitsu tournament promotion, Gracie Tournaments, she plans to change the mentality in which BJJ is immersed today, and shift it back to it’s original roots. We had a chat with Rose regarding her plans, Find out more here. Márcio Stambowsky, also known in the jiu jitsu world as ‘Macarra’ or ‘Macarrão’, is a jiu jitsu coral belt and one of the most respected figures of the sport. Being an original Rolls Gracie black belt with an overwhelming experience in competition, also being the highest ranked jiu jitsu man in Connecticut, who’s son is the up and coming MMA star Neiman Gracie; there were plenty of reasons to get together with Master Márcio for an interview. Jeff Glover is one of the most charismatics and entertaining grapplers to have graced our sport, also known for his fun approach to the game. Glover recently started his own tournament, following his fun loving philosophy, and the tournament has hit the ground running with full support of California’s main jiu jitsu stars. 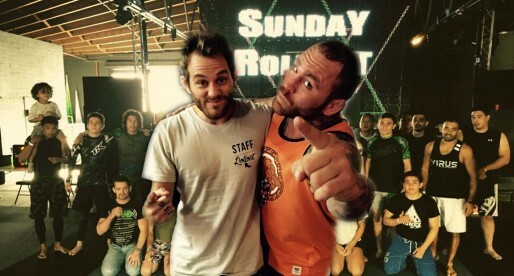 BJJ Heroes got together with Jeff and asked him a few questions about his Sunday Rollout jiu jitsu tournament concept. The European Championship is over, but our correspondent in Portugal, Mr Hugo “Sabugo” Miranda got to spend time with a number of fighters and coaches, hearing what they have to say about some issues such as the state of BJJ in Europe and how the basis of the gentle art has evolved. Ricardo Vieira, a 9x world jiu jitsu champion speaks about how he came out of retirement to compete in the ADCC, the world’s biggest submission wrestling competition taking place in China on October 2013. 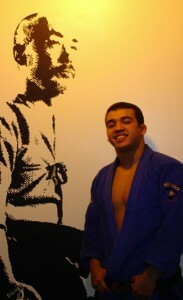 Yuri Simoes is one of the best athletes in the Checkmat Academy. The black belt under Ricardo Vieira, is a former world champion (purple and brown) and Pan American champion (black belt) who is doing a tour around Europe giving seminars after a while living in Australia. 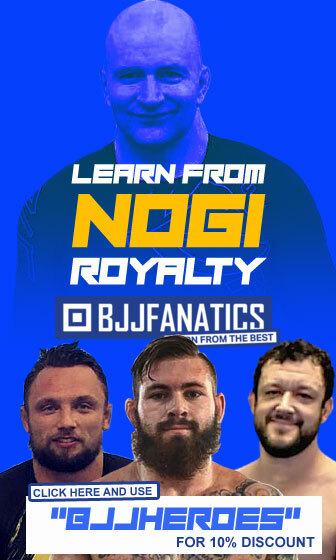 BJJ Heroes had the opportunity to catch up with Yuri in England and talk about his recent trips and a bit more. 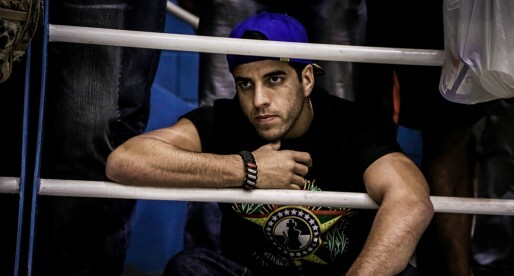 Claudio Henrique Silva is an experienced BJJ and MMA fighter, after being frustrated with the course of his MMA and BJJ career, Claudio decided to have an exclusive interview with BJJ Heroes and tell us what is on his mind. 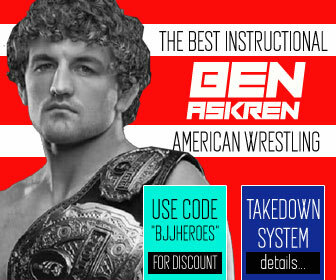 Jeff Glover is one of the best known (and most talented) American featherweight grapplers – with and without the Gi. 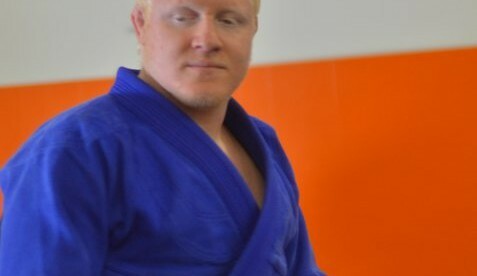 It was a pleasure being able to catch up with Jeff and pick his brain on the topic of Brazilian Jiu Jitsu improvement – and his best advice for grapplers who want to get better, faster. Brazilian born Caio Terra is currently one of the most accomplished jiu jitsu black belts in the world with several world titles. In 2007 Caio was invited by Cesar Gracie to come and settle in the US and become Gracie Eltite’s grappling coach, more recently he was invited by MMA fighter Carlos Condit to help him prepare for his UFC title shot against GSP. Cesar Gracie came out in public, making himself vocal. BJJ Heroes got in contact with Caio Terra for a short interview to hear his version of the facts. And here it is, the second part of BJJ Heroes & DSTRYRsg’s interview to the legendary female fighter, Hannette Staack. On this segment, we go over her absence at the World Jiu Jitsu Championships, how it was to be a spectator for a change, her injury and her plans for the future. widely considered one of the best female jiu jitsu competitors to have graced the mats and it is an absolute honour to have her on our website once again. This time, BJJ Heroes joined forces with DSTRYRsg to provide a tip-top quality interview. 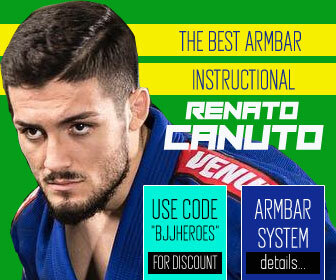 André Terêncio, also known as André “Negão” is one of the leaders of the Brazil 021 jiu jitsu academy, a team with strong roots in Rio de Janeiro, and also in United States, namely in Houston, Texas and Chicago, Illinois where André and his wife Hanette Staack live and teach. Terêncio, who is also one of the most respected referees in the IBJJF roster got together with BJJ Heroes to discuss the developments of his most recent endeavour, the launching of “Brazil 021 Projects”. A good friend of BJJ Heroes, Rodrigo Cabral “Brucutu” has moved toTexas, US recently where he has been coaching is awesome Jiu Jitsu (at John’s Gym). We got together with theAllianceblack belt and asked him a few questions, not only about his recent move, but also about some current issues as gym affiliation and fighters switching camps. Interview with one of the biggest legends in Jiu Jitsu, Hannette Staack, 6 times world champion and one of the leaders of the Brazil 021 team in the United States and Brazil. Hannette talks about her busy schedule, her training habits, her day to day life, her social projects and the future of the sport. Get to know the woman behind the champion through this interview. Luciana Machado is the proud owner of the famous M Kimonos Brazilian Jiu Jitsu Brand. 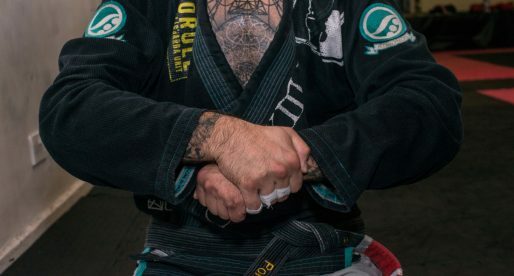 MKimonos was arguably the first brand to become world famous in the BJJ world, a brand associated with big names such as Saulo Ribeiro, Vitor “Shaolin”, Royler Gracie and many others. The witty and outspoken Brazilian got together with BJJ Heroes and revealed a little about who she is and what the brand is all about. 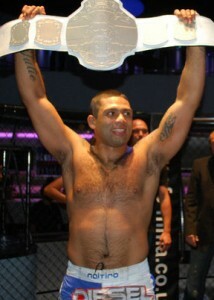 Rodrigo Cabral was the man commissioned to develop Alliance’s Jiu Jitsu prowess in Russia. This Rio de Janeiro native (also known as “Brucutu”) has left his sunny Brazil to travel to Easter Europe, and establish the first Alliance franchise in the land of Sambo. 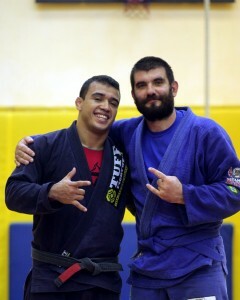 BJJ Heroes caught up with Rodrigo to discuss this exciting enterprise.